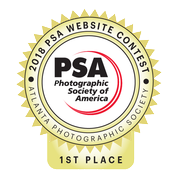 Only ribbon winners in the Photographic Society of America's (PSA's) Projected Images Division (PID) competitions are entered in it's annual "Best of the Best" competition. 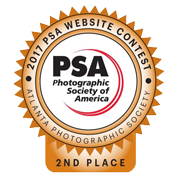 Darryl Neill's Mesmerized received the rare purple ribbon as one of the few "Best-of-the-Best" for the 2017-2018 competition cycle. Congratulations Darryl! Well-deserved recognition for an outstanding image. And thanks for providing the following description of how Mesmerized was made. Mesmerized was not planned. Rather, I was following the often-said advice of "take your camera with you when you go places because you can't tell when a photographic occasion will arise." I was visiting two of my grandchildren, ages 4 and 6 years at the time. The children were snuggled up together on a sofa in the living room, surrounded by pillows, enveloped by window light coming in at dusk. 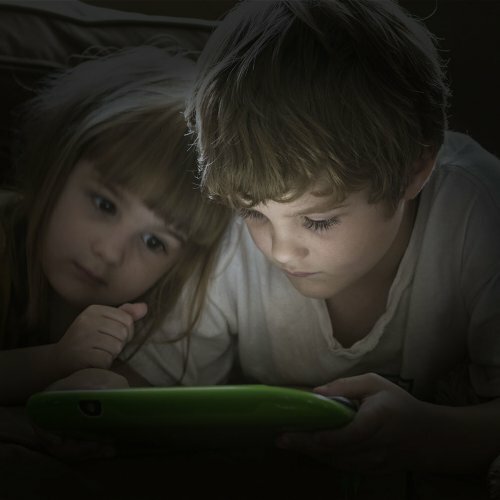 My grandson was holding a Leapfrog tablet, playing a game, while his sister was watching. I looked at the scene, told myself "this looks interesting," and pressed the shutter button. The photo did not need much in the way of computer processing--cropping, removal of some elements, brightening of the center, and a bit of vignetting. The image raises competing emotions: familial bonding, countered by the worry that attachment to electronic devices diminishes face-to-face interpersonal contact and over time contributes to psychological problems. The worry about the long-term effects of handheld tablets and phones on our society has been much discussed in books and in newspaper and magazine articles. 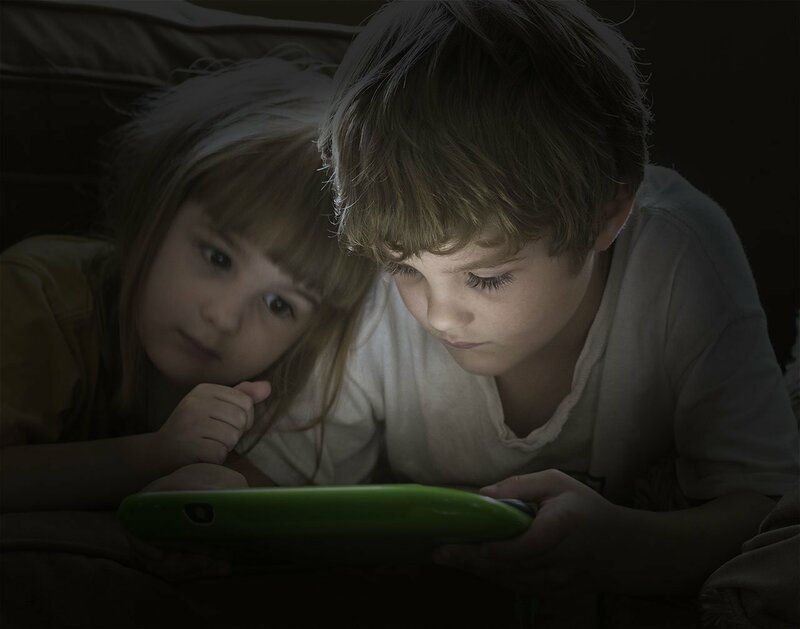 Interestingly, while my grandchildren have each gone on to possess individual iPads, they very much like to play games on a big-screen TV with one running the controller and the other providing a running commentary--both the grandson and the granddaughter!